Home / Eye care / protect eyes when working for long in front of a computer? protect eyes when working for long in front of a computer? Actually, if you stare at a computer for more than 2 hours a day, you have 90% of chance to get CVS (computer vision syndrome). If you feel uncomfortable for your eyes, you got CVS. Thus, you need to figure out how to treat this and protect your eyes. Nowadays we are reading, writing and doing all kinds of works on computers. This is causing major strain to our eyes. In the short term, we may experience dry eyes, eye strain, eye fatigue, headaches, or blurred vision. In the long term, we can end up with limited vision, because of which we have to turn to spectacles. However, considering our lifestyle, it may not be possible for a person to stay away from computers. Now, most of our work or study is related with computers. If this rigmarole is making you wonder how to keep your eyes healthy, don’t worry! We have some eye care tips that will help you to protect eyes from computer screen. Just follow the tips provided here to completely protect eyes from computer screen. First and foremost, one of the most important eye health tips to protect eyes from computer screen is to do routine eye examination. It is necessary for you to do the eye examination once in a year if you are using spectacles or if you have any vision problems. Even if you do not use spectacles, routinely getting your eyes checked will ensure you face no eye damage. Usually, examinations with an optometrist are sufficient to check for increases in power. If you are experiencing greater difficulty, go to a professional ophthalmologist. During the examination, you have to mention even minor concerns to your doctor: whether you have irritation, redness in your eyes or not and how many hours you need to sit in front of the computer etc. This will help your doctor to provide the exact treatment for you and help you in taking care of your eyes. To adequately protect eyes from computer screen, you also have to look at your workplace design. The sunlight that comes through a window to your work place and poor lighting inside your room or work area may be a reason for your eye issues. In the case of the former, there may be dust or other particulate material floating in. If you work in an enclosed space, poor lighting can overburden your eyes and cause eye strain and eye fatigue. On the other hand, harsh lights can damage your vision. 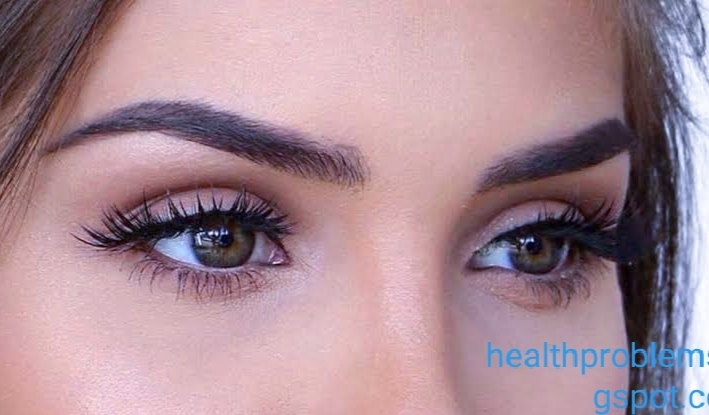 For taking care of your eyes, you should use only low intensity bulbs in your work area. You can even change the position of your computers. Move your computers to the side of the windows. This is because your computer should not be in front of the windows or behind the windows, so that there is no problem of little or too much of light exposure. This sort of work position will create the right balance of natural and artificial lighting, so that your eye health is maintained. One major way in which our eyes get damaged is by the reflective glare of our computer screens. To protect eyes against computer screen, you can do a number of things to reduce glare. The first can be done to your computer itself. You can install anti-glare screen to your computer monitor to reduce the glare. Usually, these are available cheaply and widely both online and in computer stores. Secondly, you can try installing curtains to prevent light from outside glaring off your computer screen. However, if you cannot reduce the outside light, then you can use a computer hood. 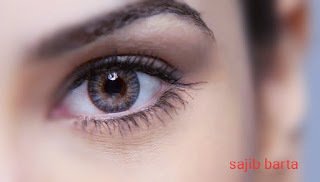 This way, you will be able to focus properly without compromising on taking care of eyes. If you use spectacles, only purchase spectacles with anti-reflective coating as it will reduce the computer glare and help in maintaining eye health. One of the most important eye care tips to protect eyes from computer screen is to do a few simple eye exercises. This is especially important if your job requires you to sit in front of the computer for long hours. To begin with, do not constantly focus on your computer screen. Look at a distant object away from your computer for ten seconds, in twenty minute intervals, and then focus on your screen. This eye exercise protects your eyes from getting strained. A second exercise you can do is look at a near object for fifteen seconds and then look at an object that is far away from the computer for another fifteen seconds. You have to do this exercise at least for five times. You can do this exercise whenever you have to work in the computer continuously. Another extremely easy way to protect eyes from computer screen is by blinking. To protect your eyes from irritation and dryness you should blink frequently. Staring at a computer screen for an extended length of time causes dryness in your eyes. Not to mention, we blink one-third the amount we do normally while using the computer. This causes our eyes to easily dry up. By closing your eyes for twenty seconds, every half an hour or so, you can rewet your eyes and create proper lubrication again. If you have persistent dry eye issues consult with your doctor, and start using the lubricating eye drops for taking care of eyes. Measures to protect your eyes from computer screen come with minor changes you can make on your computer screen. While working on a document, or a write up, or reading articles, adjust the brightness, contrast and size of the text. Normally, reading black text on white backgrounds is most comforting for your eyes. If you are viewing a movie and have therefore dimmed the lights, adjusted the brightness so that it does not cause eye strain. Make these changes especially when you have to spend long periods of time on the computer. One of the key factors to protect eyes from computer screen is what computer screen you choose in the first place. In several old offices, CRT monitor computers are still present. These monitors have a high flicker rate which can comproise your eye health. One of the most important eye care tips is to upgrade your devices to the most-eye friendly variants. Switch to LCD monitors. Choose the one that has the highest resolution, as it will produce sharper and better defined images, promising good health for your eyesight. Although good posture is mostly encouraged with regard to computers to prevent back pain, it has strong links with your eye sight as well. Do not use your laptop on the bed, while lying flat on your back. As far as possible, use your laptop on a desk, which is at eye level with your vision. This also puts less stress on your spine. If you are getting new furniture made, the best way to protect eyes against computer screen is by designing your desk so that your computer screen is 20-24 inches from your eyes and the centre of the computer screen is 10-20 degrees slanting to your vision. Anti-Glare Situations: Use Anti Glare situations. If you can see your image on your computer screen like a mirror then shift your computer to some other place. Your computer screen must be the brightest in your room. Move your computer away if there's any Window or tube light falling on the display. Anti-Glare Glasses: Use anti glare glasses. They're not so costly. Use 20-20-20 Rule: Look at something 20 meters away from you after every 20 minutes for 20 seconds. This is really effective.